Kristin is an advocate and leader in the nonprofit sector with over a decade of experience in nonprofit operations, strategic planning, fundraising, grant writing, event planning, and Board governance and management. As the Chief Operating Officer for Van Petten Group, Kristin is passionate about helping organizations reach their goals through innovative, customized solutions. She has worked with a variety of organizations ranging from universities to small, community-based nonprofits. Through her work, Kristin has led multiple fundraising campaigns and knows what it takes to support organizations in their fundraising efforts. Prior to joining VPG, Kristin served as the Director of Development, Growth, and Strategic Partnerships for the National Association of Charter School Authorizers (NACSA), a nonprofit organization committed to improving quality educational opportunities for children. 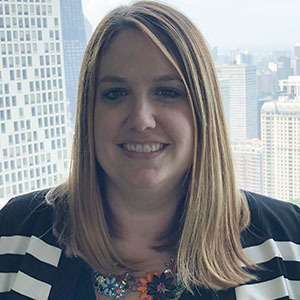 At NACSA, Kristin led the development and implementation of the organization’s national fundraising strategy focused on expanding NACSA’s visibility, impact, and financial resources, and managed the organization’s Board of Directors and National Advisory Board. Prior to joining NACSA, Kristin served in various fundraising roles at The Chicago Public Education Fund and University of Arizona Foundation where she led the fundraising and communications efforts including managing a $16-million fundraising campaign focused on building and maintaining relationships with individual donors, corporations, and foundations. Kristin has also served as an Instructor at the University of Illinois in Chicago teaching courses in the Certificate in Nonprofit Management Program, and currently serves on the Board of Directors for Inspire Girls Academy. She holds a Master’s Degree in Public Service from DePaul University and a Bachelor’s Degree in Accounting from Ball State University in Indiana. What do you want to be when you grow up: I have always wanted to be a travel photographer. I would love to travel the world and capture all the beauty that this world as to offer.